The latest campaign from Johnson & Johnson’s baby products line, aims to show that a bath time is “so much more”. The bathing ritual is more than just about cleaning a baby as it can help stimulate a baby’s senses. 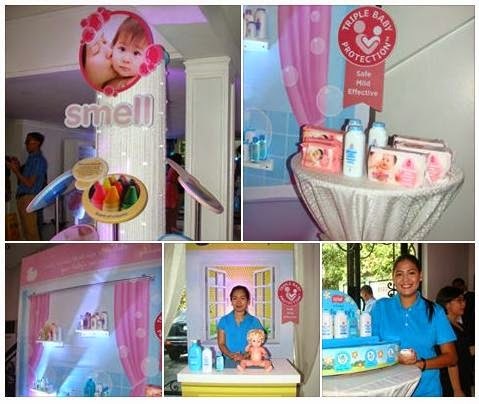 First-time parent, Rica Parelejo-Bonifacio, shared her bath time moments at the #SoMuchMore event. Johnson & Johnson’s® Global Baby Bath Report reveals that baby bath time is #SoMuchMore than what it appears to be. Their research on baths and multi-sensory experiences impact on the babies' developing brains reveals that bath time gives parents an opportunity to stimulate their kids' senses. With opportunities for touch, sight, smell and sound, all parents can take advantage of bath time to nurture their kids. Dr. Didoy Castaneda of Asia Pacific Medical and Clinical Affairs said, "Bath time can be so much more than getting clean. Multisensory stimulation rituals can aid in promoting happy and healthy baby development leading to specific benefits such as increased weight gain and bone mass, reduced stressed and better sleep quality". The informative guest doctors at the Johnson’s® Baby global launch of #SoMuchMore gave in-depth discussions on the impact of parents’ daily bath and bedtime rituals with their newborns on early child development. By enhancing baby's bath time experience, moms and dads can unlock the full power of the babies' senses and help develop healthy and happy kids. Johnson’s® Complete Baby Care products can help set the mood for a playful bath of textures, sights and scents plus a calming bedtime routine for better sleep.